Last week we learned about a new Ryobi 18V brushless angle grinder which is impressive news from Ryobi. 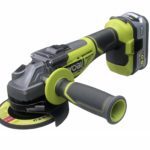 They are in a relentless mission as are other manufacturers to make more and more cordless tools with brushless motors, which brings us to today’s article in which a new RYOBI 18V 7-1/4″ brushless circular saw has been spotted over in Australia! 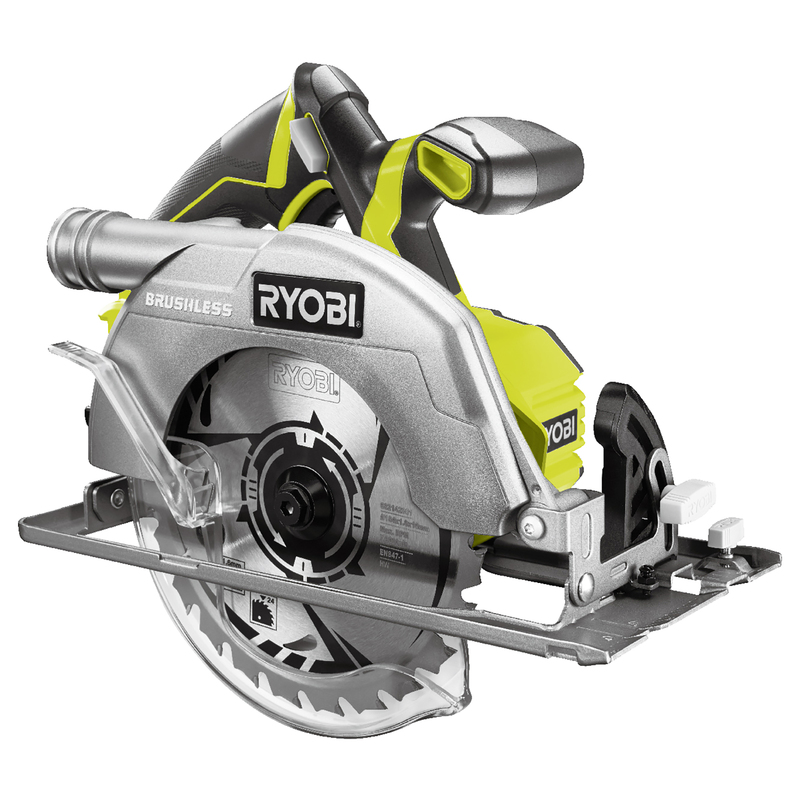 I was wondering when Ryobi would make a brushless cordless circular saw and one that had a full size 7-1/4″ blade in it and it’s nice to see that both features made it a reality. 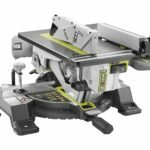 It’s not a surprise though as it is totally possible now that Ryobi has a cordless 10 inch miter saw in the works and has made several cordless tools as brushless versions. The new brushless circular saw looks pretty cool, but looks are not the main reason we buy tools. It features a LED light like most circular saws do nowadays and the brushless motor is said to change current based on material to optimize cutting performance. I think the best feature besides the brushless motor is that it takes regular 7-1/4″ blades. Not only are they cheaper than 6-1/2 inch or smaller blades, they’re easy to find. Often times the stores don’t offer the Diablo blades I want in smaller sizes, but are easy to find in 7-1/4 inches. The added blade size also increases cut capacity up to 60mm which is 2.36 inches at 90 degrees which is more than plenty at cutting 2×4 lumber. As far as materials used to make the saw, we can’t expect the best of the best materialswise since it is a Ryobi tool. I see a stamped steel shoe which is ok but not premium like an aluminum or even magnesium shoe of more expensive brands. It’s hard to tell what the upper blade guard is made of. It looks like it might be metal but I doubt it considering their other cordless saws use plastic upper and lower blade guards so it’s probably plastic with a metalic paint. Clearly the bottom blade guide is plastic. I do like that they added a rear ejection port where you can attach a vacuum but this feature is only found on circular saws outside of the USA. Great for the other countries but unfortunate for us in the USA. It appears the model number is R18CS7 and is for the Australian market. I don’t know if we’ll get one of these here in the USA but I’m almost certain we’ll get a USA variant of some sort with a different model number and without the rear ejection vac port. A big thanks to Daniel for sharing this news with us. Variable current based on materials for better cutting performance. The 18V ONE+ brushless circular saw fits right in with your existing ONE+ range of power tools and your ONE+ universal battery platform. Unfortunately for us in Australia, the local retailer has an exclusive contract in place to be the only supplier here. Very similar to the setup you have with Home Depot over there except our retailer are basically thieves. This is retailing here for $279.00! For an extra $30-$60 you can have an M18 Fuel or a Flexvolt saw. For a chuckle check the link below to check out the retail prices here. Yes $279 seems like a lot, I know that’s in Australian currency so I don’t really know how that translates into US dollars so I can’t really tell if that’s a lot or about right. But I agree at those rates, it’d seem like a better deal to spend a little more on something better like the fuel or flexvolt. Javier, with the exchange rate it works out around $200USD. 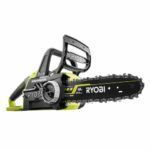 You definitely get a far better deal on Ryobi over there. Wow $200 USD equivalent is a lot for Ryobi!! The Makita x2 is $199 and so is the M18 Fuel 7-1/4″ over here as baretools. Interesting although I prefer blade-left. The current 6 1/2 version interests me. I have the Milwaukee M12 circular saw, which works well, but leaves me wishing for more power. Anyone have experience comparing these two? James, I have the M12 Feul circular saw and have found that using a 6.0ah battery improves its performance over the 3.0ah that I was using. Prior to this saw I had the older blue Ryobi 150mm circular saw and I would say that they were somewhat equivalent power wise if this helps. These are in stock in Home Depot in the USA now, retail price $119. However, they have a deal if you buy the brushless hammer drill kit for $149, you get a free bare tool so it’s a lot better deal if you buy two items.